The French air accident investigation agency has released a photo of the data recorder from the crashed Ethiopian Airlines jet. The agency, known by its French acronym BEA, received the plane’s data recorder and voice recorder Thursday. They’re also known as black boxes, even though they are in fact orange. The central part of the data recorder appears intact though the edge appears somewhat mangled in the photo. BEA spokesman Sebastien Barthe told The Associated Press that it is unclear whether its data is retrievable. The BEA says technical work on the recorders will begin Friday. Ethiopian authorities brought the recorders to France because the BEA has the software required to decode them and extensive experience studying plane crashes. U.S. investigators are joining the process. All 157 people aboard the Boeing 737 Max 8 plane died when it crashed Sunday. The reason for the crash is unclear. The United Nations has said that no U.N. staff should travel on the Boeing 737 Max 8 planes. The U.N. department of safety and security issued a communique said that the “horrific” crash of an Ethiopian Airlines jet on Sunday took the lives of 21 U.N. staff members among the 157 killed. “This is the second aircraft crash, on the same aircraft type, the Boeing 737 Max 8, in less than 6 months,” said the statement. The statement said that until the causes of the crashes are established, U.N. staff members should not travel on the Boeing planes. Japan is following other countries on multiple continents in banning the Boeing 737 Max 8 and 9 aircraft from its airspace following an Ethiopian Airlines’ crash on Sunday that killed all 157 people on board. The decision Thursday comes a day after the U.S., where Boeing is based, issued an emergency order grounding the 737 Max 8. 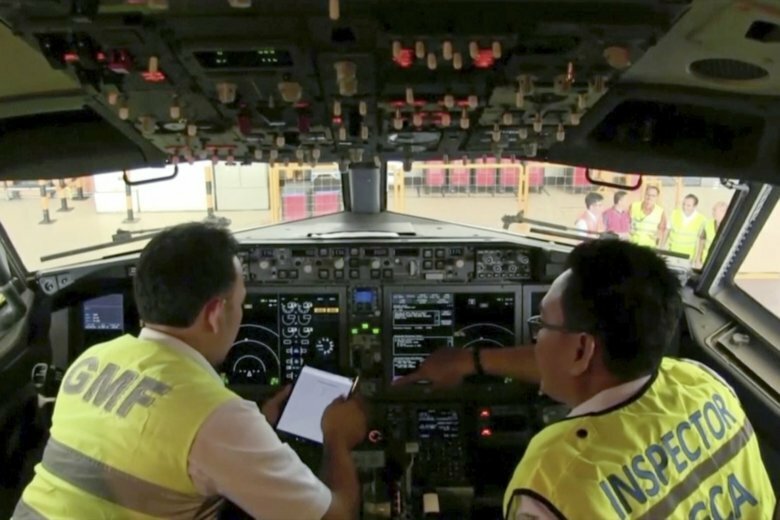 Japan’s transport ministry said its decision is due to the U.S. Federal Aviation Administration’s announcement Wednesday that new satellite data showed similarities to an earlier crash of an Indonesian Lion Air flight accident in October. Japanese airlines do not use the aircraft. An emergency response team from Israel, dispatched to Ethiopia to search for remains of victims of the Ethiopian Airlines disaster, said they are frustrated because they have not been able to access the site where the plane crashed. Members of the ZAKA team were seen at the site earlier this week, but they were not permitted to extract material. An Israeli official said the team in Ethiopia is frustrated. Two Israelis were among the 157 killed in the plane crash. About 200 family members of people who died on the crashed jet have stormed out of a briefing with Ethiopian Airlines officials, complaining that the airline has not given them adequate information. The airline officials said they have opened a call-in center that is open 18 hours a day to respond to questions by family members. But angry family members left the meeting at a hotel in Addis Ababa, saying that they are frustrated by a lack of answers to their questions. Relatives have been wailing and beating their chests at the site of the Ethiopian Airlines crash as others picked through the rubble for any sign of the 157 people who died. Some family members have expressed frustration with the pace of the investigation and release of information. While a bulldozer navigates the dusty scene with piles of debris, investigators, searchers and others wander the ground, some with large clear plastic bags. Blue plastic sheeting covers the wreckage of the plane. People from 35 countries died in Sunday’s crash. More families are expected to arrive on Thursday. France says it will analyze the data from the plane’s black box. The French air accident investigation authority, known by its French acronym BEA, says it will handle the analysis of the black boxes retrieved from the crash site of the Ethiopian Airlines jet that left 157 people dead. A BEA official told The Associated Press that they have already arrived in France but gave no time frame on how long the analysis could take. The BEA has experience with global air crashes, and its expertise is often sought whenever an Airbus plane crashes because the manufacturer is based in France. Ethiopian Airlines says an Ethiopian delegation led by its accident investigation bureau had flown the flight data and cockpit voice recorders to Paris. More than 40 countries, including the U.S., which had been one of the last holdouts, have grounded the 737 Max 8 after the second fatal crash involving the jet in recent months.